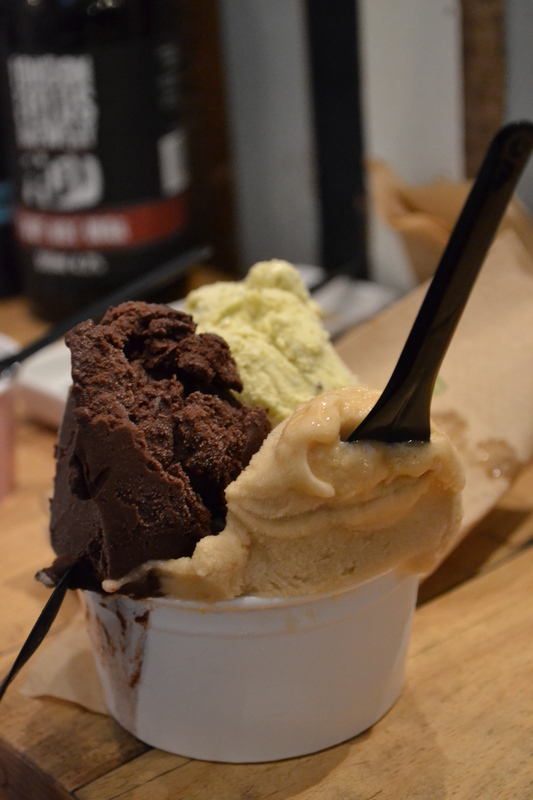 Scoops to conquer: beer sorbets at La Gelatiera | It Comes In Pints? 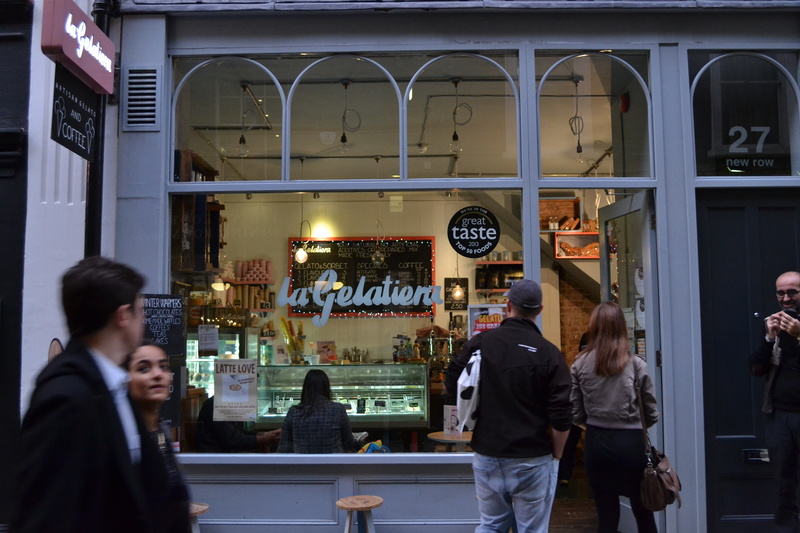 Tucked away in the West End of London, La Gelatiera is a hidden (iced) gem for ice cream enthusiasts. The tiny shop is decked out with reclaimed wood and funkily-angled mirrors, a quirky, individual look which complements the owners’ commitment to natural, organic produce and experimental flavours. ICIP has been a fan of their gelato for some time, popping in regularly to sample flavours such as salted caramel, candied chestnut and basil and chilli. 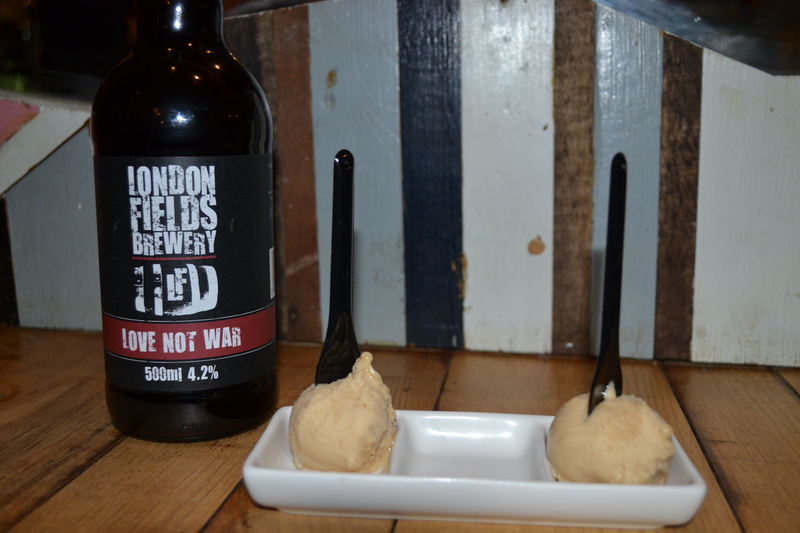 However, when news reached us that they’d teamed up with London Fields Brewery to produce a range of beer sorbets, we knew we had to find out more. We are welcomed by owners Stephane Leyvraz and Antonio Parisi, who serve us up a scoop of their Love Not War sorbet. 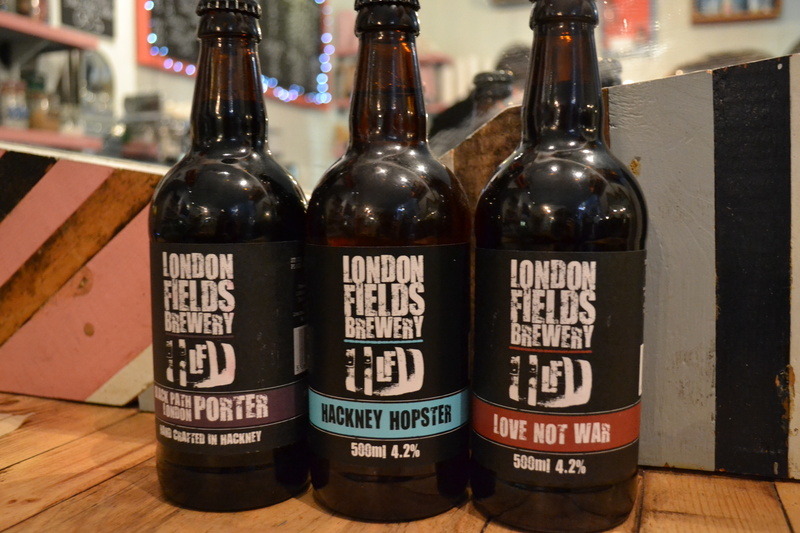 London Fields originally made this beer whilst holed up in the brewery during the 2011 London riots, a 4.2% red ale with a mixed blast of German, NZ and American hops, finished off with a dry hopping of Amarillo for added bite. It was interesting to taste these flavours translated into the sorbet. It had a very rich, smooth quality with a punch of aniseed and pear which was less detectable when drinking the beer straight. 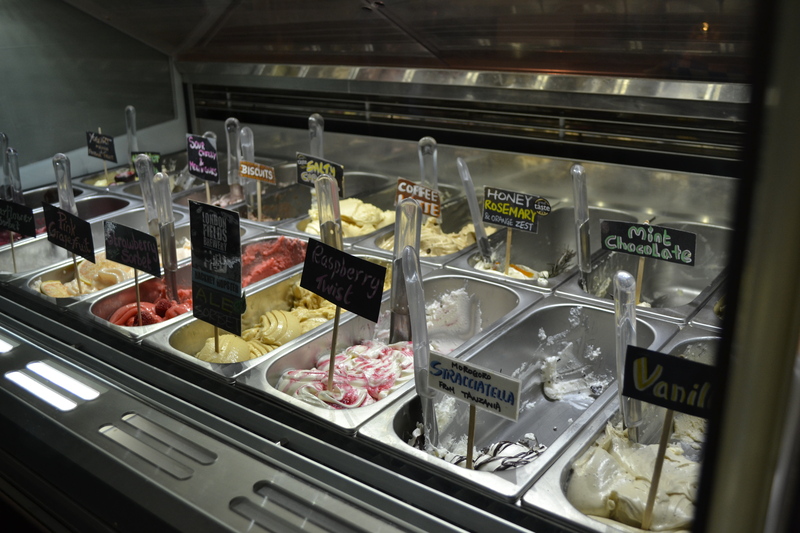 The gelato makers have a history of producing boozy sorbets: “We have made sake, champagne, rum…” offers Antonio. “The vodka and melon was quite popular, we did Tequila Mockingbird with gooseberry… there’s a bar called The Cellar Door and they used our Campari sorbet in a cocktail which won an award!” adds Stephane. La Gelatiera are advocates of the Slow Food movement, which encourages people to choose nutritious food, from sustainable, local sources. They have struck up relationships with suppliers all around London, and prepare as much of their ice cream ingredients on-site as possible. The only exception are 100% pure pastes, such as the one used for their Sicilian pistachio gelato. They even bake a wide range of cakes and pastries in their underground kitchen. You’d think that as summer becomes a distant memory, ice cream would be off the menu for most people, but La Gelatiera has a full seasonal line-up planned for autumn and winter. Stephane mentions pumpkin, sweet potato and celeriac as a few of the flavours we can expect to see coming up soon. Last Christmas they did both mulled wine and merlot sorbets, and they are keen to try more stouts and porters going into the colder months. ICIP will definitely be back to give it a try. This entry was posted in Cooking With Beer and tagged Slow Food, Sorbet on 12/10/2013 by icipints.